This lesson, we will learn a meditation on Present Time, and Being in the Moment. Sit down in a comfortable chair, feet flat on the floor, settle in, and relax. Take some deep breaths, and notice your breathing. As you notice your breathing, become aware of your body, and consciously bring your awareness into the center of your head. Let your attention be in the center of your head, and acknowledge yourself in the center of your head. Say hello to your 1st chakra, and find the center of the planet. Say hello to the center of the planet. Using your favorite image, create a grounding cord, between your 1st chakra and the center of the planet. As you ground your body, be aware of releasing energy, and be aware of yourself, in the center of your head. Now, out in front of you, create an image, get a sense of it, feel it, let this image represent you, and set it out, at the edge of your aura, allowing it to separate you from the energy around you, and be aware of the center of your head. Take a deep breath, notice your body, and picture another image. Feel it, sense it, see its texture, depth and color. Let it be real, and then, imagine yourself, releasing out into that image, any energy you have in Past Time. It could be thoughts about something that happened, earlier today, or yesterday, or last week. Where in the past do you have your energy? Is it an event you can’t stop thinking about, something you haven’t let go of yet? Let that image be a magnet for any energy you have in the past. As you are letting go, notice what happens to your image. Is there a lot of energy, going out into it? Then, put a bomb under that image, and blow it up. And be aware, of your own energy, coming back to you, in present time. Notice your grounding cord, in this present moment. Imagine another image, right out in front of you. Now, allow any energy you have in the future, to come back into this image. Let that image be a magnet for any energy you have in the future. It could be a project, or an upcoming event, or a trip you are planning, or a problem. Call back that energy, out of the future, and into that image. Notice what happens to the image; is a lot of energy coming back into it? Now, put a bomb under this image, and blow it up. As you explode images, it neutralizes the energy. Bring that energy back to yourself, in the present moment. 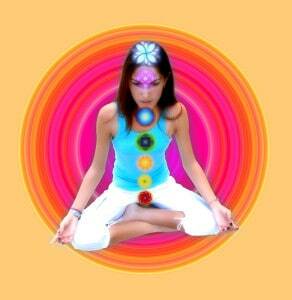 Now, become aware of your body, which is right in present time. Become aware of your grounding, right in this moment. Become aware of your aura, right in the moment. Take a deep breath, and be aware of yourself, right in the center of your head, right in this present moment. Now, create another image, right out in front of you, and release any energy that might pull you out of present time; the energy of worry, or problems, or having too much to do. Allow this image to absorb that energy, put a bomb under it, and blow it up. Now, create a big, bright, golden sun of your own brand new energy, of your own Present Time energy. What would you like to put into it? Would like more enthusiasm, more fun, more space, more time? Create the energy of what you want, into that golden sun, and bring that new present time energy in, through your crown chakra, filling your entire body. Picture it coming in, filling up your head, filling your body, your aura. Take a deep breath, and Be, right in the center of your head, right in this moment. When you are full, take a deep breath, bend over, stretch up, and enjoy the feeling! Download this video, an MP3 and PDF, for Meditation Class 7. It is enhanced with sound therapy techniques to deepen your meditation experience.